Rezaei, D., Irannezhad Parizi, M., Jafari Kokhdan, A., Zolfaghari, R. (2013). Study qualities and quantities tree parameters in the protected and non-protected areas in the Dena Biosphere Reserve. International Journal of Advanced Biological and Biomedical Research, 1(2), 171-178. Dorna Rezaei; Mohamad Hossein Irannezhad Parizi; Azizollah Jafari Kokhdan; Roghaye Zolfaghari. "Study qualities and quantities tree parameters in the protected and non-protected areas in the Dena Biosphere Reserve". International Journal of Advanced Biological and Biomedical Research, 1, 2, 2013, 171-178. Rezaei, D., Irannezhad Parizi, M., Jafari Kokhdan, A., Zolfaghari, R. (2013). 'Study qualities and quantities tree parameters in the protected and non-protected areas in the Dena Biosphere Reserve', International Journal of Advanced Biological and Biomedical Research, 1(2), pp. 171-178. Rezaei, D., Irannezhad Parizi, M., Jafari Kokhdan, A., Zolfaghari, R. Study qualities and quantities tree parameters in the protected and non-protected areas in the Dena Biosphere Reserve. International Journal of Advanced Biological and Biomedical Research, 2013; 1(2): 171-178. Dena Biosphere Reserve located in Iran and is a 550 Biosphere Reserve in the worlds. This research was investigated in the two protected and non-protected areas, in a Dena Biosphere Reserve, Kohkeloye va Boyrahmad province, and central zagros forest, southwest of Iran. Inventory methods designed by systemetic-randomaiz method by use the rectangular plots that were 15×30 meters in the 100×100 m Net. In each plots information include qualities and quantities tree parameter measured. T-test was used to analysis of mean quantities tree parameter differences between protected and non-protected area. Data analyzing was done by Excel and SPSS16 software’s. Results showed that the DBH distribution in the reduced uneven- aged stand in protected area and reduced even aged in the non-protected area. Results showed that the mean of forest characteristics including DBH, height, canopy cover and, and density in the protected area are 38.5 (±5.5), 6.51 (± 0.9), 38 (±5.5) and 530 (±35) and this quantities parameters in protected area higher the non-protected area. Overall results showed that the qualities and quantities tree parameters in the non-grazed area higher the grazed area, and grazing has a negative effect on the qualities and quantities tree parameters. Alijanpour. A., Zobeiri. M., Marvi Mohajer. M.R., Zargham. N., Feghhi. J. (2004). A Comparison of Forest Stand Quantitative Factors in Protected and No protected Areas in Arasbaran Forests. Iranian J. Natural Res, 57(3): 447-453. Askari. Y., Parsapour. M.K., hosseni. Z. (2013). Modeling of Suitability Iranian Oak site for establish of coppice regeneration in Zagros forest. International journal of Advanced Biological and Biomedical Research (IJABBR), 1(1): 61-70. Bazyar. M., Bonyad. A., Babaie Kafaki. S. (2013a). Study of most element of forest destruction by used the IRS-1C and LANDSAT image in the southern zagros forest (Case study: Kohkeloeye and Boveirahmad province). International journal of Advanced Biological and Biomedical Research (IJABBR), 1(1): 35-44. Bazyar. M., Haidari. M., Shabanian. N., Haidari. R.H., (2013b). Impact of physiographical factors on the plant species diversity in the Northern Zagros Forest (Case study, Kurdistan Province, Marivan region). Annals of Biological Research, 4 (1):317-324. Dastmalchi. M. (1998). Investigation compatibility experimental of tree species Ardabil province. Jangal and Senoubar J. Inst, For, Ranglands Res, 203: 168p. Haidari. M., Jalilvand. H., Haidari. R.H., Shabanian. N. (2012 a). Study of Plant Biodiversity in Grazed and Non-grazed Areas in the Iran-o-Turanian Ecological Zones (Case Study: Yazd Province, IRAN). Annals of Biological Research, 3 (11):5019-5027. Haidari. M., Namiranian. M., Gahramani. L., Zobeiri. M., Shabanian. N. (2013a). Study of vertical and horizontal forest structure in Northern Zagros Forest (Case study: West of Iran, Oak forest). European Journal of Experimental Biology, 3(1):268-278. Haidari. M., Etemad. V., Khosropour. E. (2013b). Study of tree regeneration in the grazed and non-grazed areas in the Iran-o- Turanian Ecological Zones. International journal of Advanced Biological and Biomedical Research (IJABBR), 1(1): 18-24. Haidari. M., Rezaei. D. (2013c). Study of plant diversity in the Northern Zagros forest (Case study: Marivan region). International journal of Advanced Biological and Biomedical Research (IJABBR), 1(1): 1-10. Haidari. M., Namiranian. M., Zobeiri. M, Ghahramany. L. ( 2013d). Evaluation of different sampling method to study of tree density (tree/hectare) in the Zagros forest. 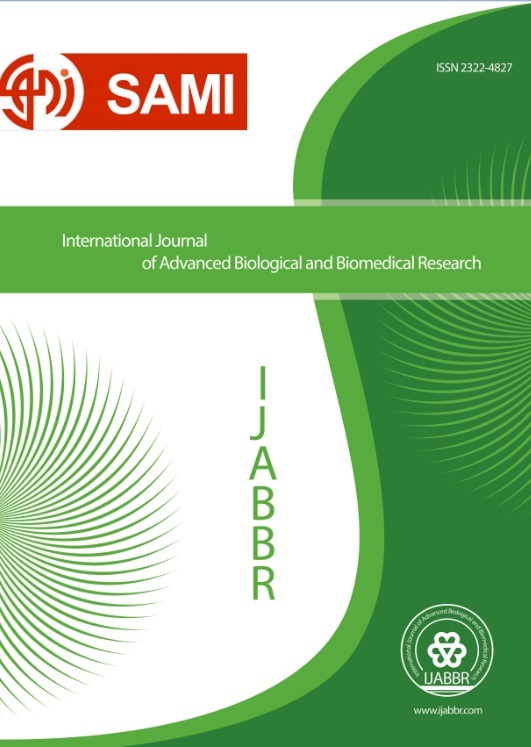 International journal of Advanced Biological and Biomedical Research (IJABBR), 1(1): 11-17. Haidari. M. (2013e). Study of herb diversity in the zagros forest (Case study: Kurdistan province). International journal of Advanced Biological and Biomedical Research (IJABBR), 1(1): 25-34. Haidrai. M., Bazyar. M., Hosseini. S.A., Haidari. R.H., Shabanian. N. ( 2013f), Study of forest destruction by used the diversity index in the Northern Zagros Forest (Case study: Oak forest). International Journal of Biological & Medical Research, 4(1): 2720- 2725. Huntly. N. (1991). Herbivores and the dynamics of communities and ecosystems. Annu RevEcol Syst, 22: 477–503. Hosseini. S.A. O., Haidari. M., Shabanian. N., Haidari. R.H., Fathizadeh. O. (2012). The impact of single selection method logging on the tree and shrub diversity in the Hyrcanian forests. European Journal of Experimental Biology, 2 (6):2229-2237. Marvi-Mohajer. MM. (2005). Silviculture, Tehran University Press, Tehran, 380p. Parma. R., Shataee. S. (2013). Estimation of species diversity of trees and shrubs using ETM+ sensor data (Case study of forests in Qalajeh Kermanshah province). International journal of Advanced Biological and Biomedical Research (IJABBR), 1(1): 71-78. Rooney. T.P., Waller. D.M. (2003). Direct and indirect effects of white-tailed deer in forest ecosystems. Forest Ecol. Manage, 181: 165–176. Shakeri. Z., Marvi Mohajer. M.R., Namiranin. M., Etemad. V. (2009). Comparison of seedling and coppice regeneration in pruned and undisturbed oak forests of Northern Zagros (Case study: Baneh, Kurdistan province. Iranian Journal of Forest and Poplar Research, 17(1): 72-84.